As both a reader and an author, it’s always nice to chat to fellow book lovers. So when the Bookworms in Carnforth invited me along to one of their meetings obviously I was more than happy to join in the fun. 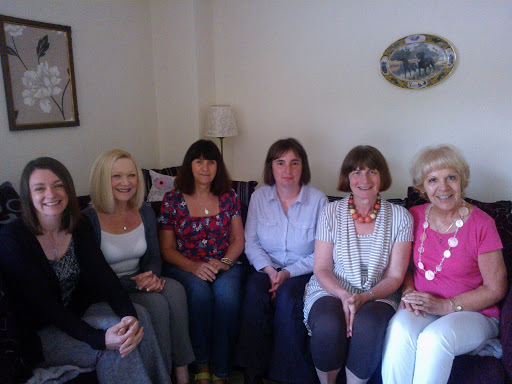 I met a great bunch of women, each of them sharing a lively interest in all things literature. Which is probably why, after giving me the warmest of welcomes, they happily dove straight in with their questions and why the next two hours or so seemed to pass by so quickly. During this time we talked about Going Underground, a discussion that included some wonderful and very much appreciated feedback (thank you, Ladies); we discussed aspects of the writing process, as well as the publishing industry in general; and we even touched upon author Stephen King and novel Fifty Shades of Grey… The latter providing an opportunity for one of the group to produce a photograph she’d previously taken – a photograph of a cloud shaped just like a man’s… ahem! And finally, I was asked to do a reading, enabling me to introduce the group to Little White Lies and Butterflies. I never know with your blog if comments I leave are being vetted or not as can never read them back…..wordpress can be a pain. Let me know.